In April 2017, Mace was awarded contracts to build six new mega-prisons across England and Wales as part of a £1.3 billion prison expansion program. To support the campaign group, Community Action on Prison Expansion, who are opposing the new wave of prison construction, Corporate Watch has investigated Mace and its operations worldwide. Mace was founded in 1990 and now employs over 4,000 people worldwide. Their four areas of work are construction, development (often project managing huge new developments, such as student accommodation or large-scale ‘regeneration’ projects with local councils), as well as acting as consultants on projects internationally. Their fourth area of work is facilities management, which involves managing properties for various clients, from oil companies to housing accommodation. Mace pulled in just over £2billion in revenue in 2016. They made an operating profit of £12.9 million in 2015 and just £5 million in 2016. They are not a publicly-owned company but instead are owned privately with their directors owning most of their shares, as well as offshore holding companies. Their shareholders are generously rewarded, splitting up a total of £17 million in cash in 2015 and 2016. The highest paid director made £1.4million alone, not including dividends. While Mace tries to maintain a clean appearance in the UK – notwithstanding controversial projects such as the expansion of Heathrow Airport and Hinkley C Nuclear Power Station – it is harder to whitewash their work abroad. Mace have their hands especially dirty in the Gulf, where migrant exploitation and forced labour are the norm, and Saudi Arabia, one of the most brutal regimes in the world. The Middle East and North Africa is their second largest market next to the UK and Europe. Despite lower overall revenues in the region, their work is more profitable, generating more than £80 million in revenue in 2016 alone. In March 2017, Mace was announced as the programme partner in the Government’s Prison Estate Transformation Programme (PETP). 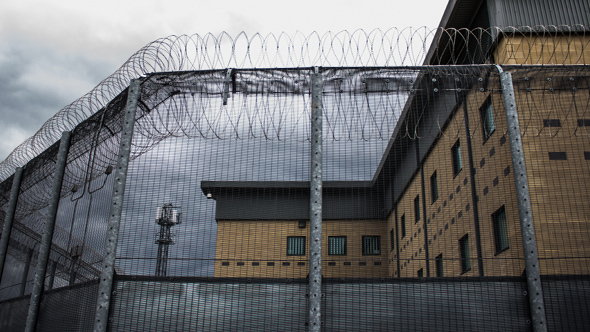 The Ministry of Justice (MOJ) is working with Mace to build six new mega-prisons, five of which are to be built by 2020, in addition to five new “community” prisons for women. The £1.3 billion construction programme handed to Mace will create 10,000 new prison places. Building such prisons, described by leading criminologist and Open University Professor, Dr. David Scott as “warehouses of suffering”, is likely to be business-as-usual for this company, whose values of ”safety first, client focus, creating opportunity, and integrity” fail to match a huge number of the company’s projects across the world. The six new mega-prisons are regionally spread and are at different stages of construction. First announced was Wellingborough and Leicester in the Midlands. The redevelopment of HMP Wellingborough that was granted planning permission in April 2017 will create an enormous prison of 1,600 places. HMP Glen Parva in Leicester is being bulldozed and replaced with another 1,600 place prison. Planning permission was granted in May 2017 and demolition started in autumn 2017. The third prison to be granted planning permission was in East Yorkshire in a village called Full Sutton that already has one of England’s highest security prisons. The 1,000 place prison was granted planning permission in July 2017 and has had widespread resistance from locals. Local group Yorkshire Campaign against Prisons say the site is subject to radiological contamination following the storage of nuclear weapons there in the sixties. Two of the prison projects have been delayed until 2019 – these are at Wigan in Greater Manchester and Rochester in Kent. Campaigners exposed the Wigan site as being full of asbestos, which has contributed to the delay of the building. Finally, the sixth prison is proposed for Port Talbot in South Wales. The prison has been met by phenomenal local resistance, with two groups opposing the plans – Stop NPT Prison and No Prisons De Cymru. It is clear that if planning permission is granted, Mace will have a fight on their hands. This company profile aims to expose Mace’s other projects and exploitative endeavours across the globe. On their website, Mace describes Saudi Arabia as a “marketplace that is both lucrative and dynamic to work in.” It is infamous for its death sentences, use of torture, and the legal subordination of women. Worker organisations are not permitted nor are public gatherings, and political dissent is criminalised. Read Amnesty International’s annual Saudia Arabia report here. Mace is currently building Kingdom Tower in Jeddah, pitched to be the worlds tallest building. They are overseeing the project with a company called EC Harris. It is being built by the Saudi Binladen Group. The Binladen Group has been mired in controversy. Workers employed by the Binladen Group and Saudi Oger Ltd were left waiting for their wages after a collapse in oil revenues left the kingdom unable to pay the firms it had contracted to undertake major building projects. Workers who had not been paid for over six months set a row of the Binladen Group’s buses on fire. Some protesters were reportedly sentenced to four months in prison and 300 lashes for destroying public property and inciting unrest during the demonstration. To Mace, this appears to be an acceptable price of doing business in Saudi. Human Rights Watch reported that 250,000 migrant workers in the country have been arrested and deported under the violation of labour and residency laws. There are more than six million foreign workers in Saudi, with no legal protection. And while the Binladen Group lay off more than 14,000 people and fail to pay their workers, Saudi’s war on Yemen continues. Mace describes “Integrity – always doing the right thing” as one of their four key values. Yet is it possible to have integrity while working in a country with such a regime? Mace describe themselves as having “been a high-profile fixture in the State of Qatar since 2009” by providing cost, project, construction and programme management services to a wide variety of clients. As in Saudi, this means the company has accepted dangerous working conditions and worker deaths, poor human rights, deceptive recruitment practices and nationwide exploitation. According to Amnesty International’s research, approximately 90% of Qatar’s workforce is made up of migrant labourers, mostly from South Asia. Deceptive recruitment practices bring them to the country and once there it is common for them to have their passports confiscated. The country requires exit visas, making them effectively trapped if they want to leave. Their visas are directly linked to companies employing them through the country’s Kafala system, so it’s near enough impossible to change employer. Any workplace dissent or worker organisation is criminalised. Squalid living conditions are common. Human rights observers that have been able to access the labour camps share reports of dangerous working conditions, with little training and a lack of safety equipment. Signs are commonly in Arabic and English even though most of the workers are from South Asia. Falls, traffic accidents, dehydration, and exhaustion lead people to their deaths. One of the largest projects right now is preparing for the football World Cup in 2022. Robert Booth in the Guardian wrote back in 2013 how 4,000 migrants workers could die before a ball is even kicked. More recently, Human Rights Watch describe how workers are subjected to life-threatening heat. Stating that they are only consultants is a common tactic by international construction giants when pressured about worker exploitation abroad. Despite their attempt to hide their role in these projects, Mace has been involved in a number of large projects in the country, including building Doha Festival City. In 2013, Mace Macro (a subsidiary of Mace) also secured a 5-year facilities management contract with Qatar Petroleum. Mace write how they are committed to health and safety, innovation and service excellence, being a responsible business and supporting the communities in which they work. Can this be possible in the Qatar construction business? Like most multinational companies, Mace has joined the gold rush of the United Arab Emirates, working in Dubai and Abu Dhabi. Described as “capitalism on steroids”, the construction sector is massive and it has a legacy of worker resistance following exploitative conditions. Their work in the emirates include the Al Bahr Towers and Capital Gate Hotel in Abu Dhabi most recently, as well as the Zayed Cricket Stadium and Abu Dhabi National Exhibition Centre. In Dubai they are working on an observation wheel (the equivalent to the London Eye). Like a lot of things in the emirates, it will be the “single largest on earth”. Mace are also partnering with CH2M to transform a 480 hectare site ready for the Dubai 2020 Expo. Human Rights Watch visited six different worker housing complexes and described how a typical dwelling was a small room (12 feet by 9 feet or 3.65m x 2.7m) in which as many as eight workers lived together. Three or four double bunk beds represented the only furniture in each room. The workers used communal bathrooms and showers outside their rooms. The room is about twice as big as an average UK prison cell. Late wages are one of the biggest complaints of workers. Workers building Donald Trump’s International Gulf Club in Dubai described ”a constant state of anxiety over when they would be paid’”. News reports of construction worker deaths are common in the Emirates, yet little substantive action is ever taken. These conditions have been met with resistance. In 2004, thousands of workers protested before the Ministry of Labour against the unhygienic conditions in which they were forced to live and work, only to be dispersed by police and threatened with mass deportations. This was followed by a succession of sporadic protests, culminating in the biggest labour protest in the history of the UAE in 2005, and another in 2006, when 2,500 workers rioted at the Burj Khalifa site. At least four people died during its construction, and another committed suicide ten months later, jumping from the 147th floor of the building after his boss refused him holiday. It has been reported that workers were being paid as little as £2.40 a day, for 12-hour days, six days a week. In September 2006, the Ministry of Labor issued a resolution banning striking migrant workers from further employment in the country for at least one year. The government had deported workers suspected of organizing strikes on several occasions prior to this resolution. While Mace continues to promote itself as a main player in the Middle East, it will be unable to maintain the facade of not accepting its role in the construction industry that fails to treat workers as humans. 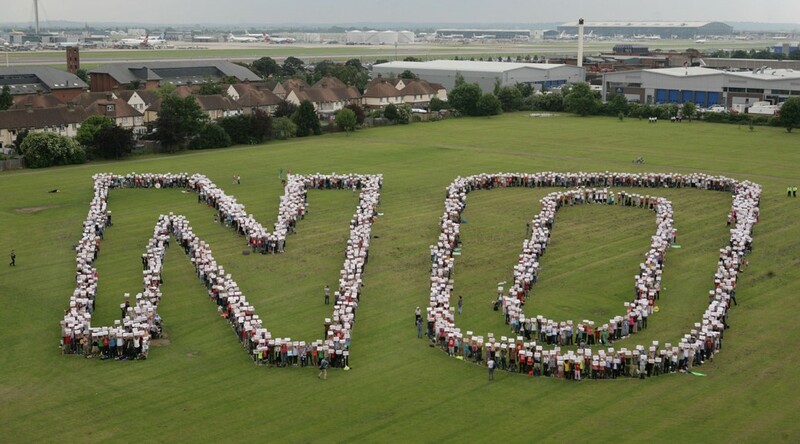 Mace’s stated commitment to ‘sustainability’ does not mean much when they are a programme partner in developing Heathrow Airport’s third runway. In November 2016, an independent advisory body warned that expanding Heathrow may breach the government’s own climate change legislation if other sectors do not make big cuts to emissions. 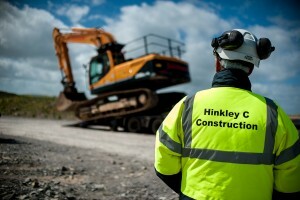 Mace is also a partner in building Hinkley Point C nuclear power station. They are one of the framework providers supporting New Engineering Contract management and project and construction management services for off-site works. Like many construction giants, Mace is involved in the ongoing gentrification of cities through ‘urban regeneration’ and redevelopment. Key projects in London include the Olympic Park, Camden Lock, Greenwich Square, and Highpoint. They are also a key leader in managing Student Housing. They have also been caught up in a tendering battle around the HS2 high-speed railway after being beaten to the contract by an American Firm. Campaigners say that HS2 threatens 350 unique habitats, 98 irreplaceable ancient woods, 30 river corridors, 24 Sites of Special Scientific Interest plus hundreds of other sensitive areas. Ironically, HS2 is one of the projects mentioned in the Government’s ‘Prison Safety and Reform’ White Paper that they wish to use prison labour to build. Mace Group Ltd – Mace’s main UK operating company – and other subsidiaries around the world are all owned by parent company, Mace Finance Ltd. They have over 80 subsidiary companies in countries around the world including Australia, Belarus, Brazil, Croatia, Cyprus, France, Ghana, Hong Kong, India, Ireland, Macedonia, Mauritius, Nigeria, the Netherlands, Pakistan, Switzerland, and Turkey. To smooth over its corporate image, Mace operate the Mace Foundation, to which they donate 1% of their annual profits. 2017’s recipient is Alzheimer’s Research. Their four partners for the next three years are the Construction Youth Trust, LandAid, Mind, and the Youth Hostel Association. We wonder if these charities know about Mace’s record worldwide? Mace also runs two “Talent Programmes”; one at Imperial College Business School and the other at Cranfield School of Management. The majority of Mace’s directors are also shareholders. Mace’s largest shareholder is Chief Executive, Mark Peter Reynolds. His colleagues at the top of the company own the majority of the rest of the shares: Mark Castle (Deputy CEO of Construction), David Richard Grover (CEO of Development), Jonathon Mark Holmes (CEO of Consultancy), Gareth Mark Lewis (CEO of Construction), Jason David Millett (CEO of Consultancy), Stephen Gerard Pycroft (Executive Chairman), David Keith Vaughan (the company’s first Director), Lee James Penlington (Group Commercial Director) and Dennis Hone (Group Finance Director). It is clear that behind the corporate facade is a company willing to profit from near-enough any construction project that will financially reward its shareholders. Constructing prisons that will cage and warehouse mostly working class people, people of colour, individuals with mental health challenges and learning disabilities, the homeless, criminalised migrants and LGBTQ individuals is clearly of no concern to this construction giant bent on placing profits before people at every stage of its enterprise.